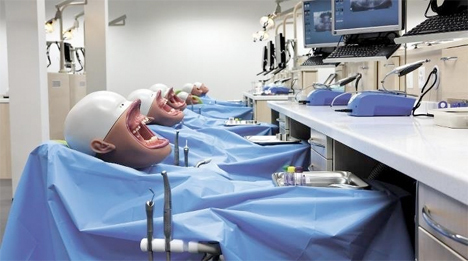 Apparently, eyeless semi-human dental models are a thing. But what makes these ones even more disturbing than the rest is the way their flesh has been stretched back to allow unfettered access to the teeth. If we had one guess, we’d say Japan. 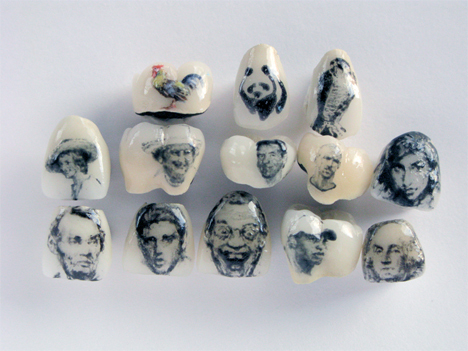 Some dentists will tell you that they see themselves as ‘teeth artists,’ but none are telling the truth so much as Steve Heward of the Heward Dental Lab in Salt Lake City. This guy will hand-paint crowns before they’re installed in your mouth with tiny lifelike replicas of whatever you desire, for the low cost of $75-$500. Because who doesn’t want a demented-looking David Letterman hiding in their mouth? 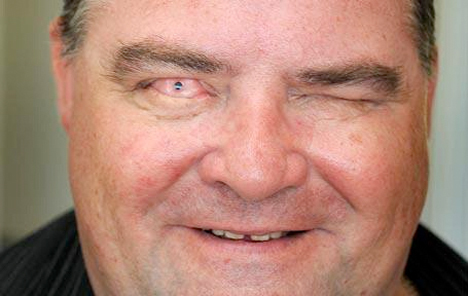 Successfully performed on a number of blind patients now, the osteo-odonto-keratoprosthesis procedure involves extracting a patient’s tooth, drilling a hole through it, fitting it with a lens and implanting it in their eye socket so they can see. 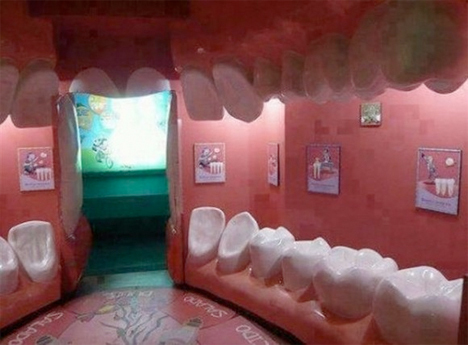 The purpose of the tooth is to prevent the body from rejecting an artificial base.